Which festivals you’ve already been to this summer? If your answer is none, we hope you have few of them upcoming in your summer checklist. Otherwise, you must consider buying a ticket to one of them right now. By saying right now, we actually mean that. Being one of the best things summer can offer, live music festivals all over the world are getting more and more attention within (not only) young people, interested in music, arts, different lifestyles and fashion. How can they not? There is no other place or event in the world where you would meet so many like-minded, relaxed, fashionable, creative people, hear so much music you love, play so many games, lay on the grass, dance all night long and then dance some more, laugh with you friends, eat with them and then (maybe) have a nap in a hammock, still listening to great music. Are you one of those people who don’t even consider going to a festival because of the mud that will definitely get on your favourite clothes after a heavy rain? Can’t even bear a mind of sleeping in a tent? You can’t imagine how many amazing things you’re missing out. Emotions you get during the days spent with your friends, uncountable amount of smiles you see and music that follow you everywhere you go, all of these things bewitch everyone who dares to take the challenge of surviving a festival. 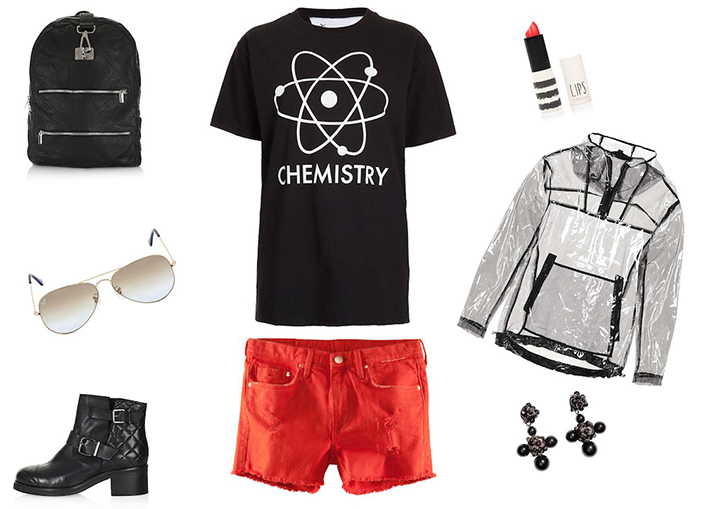 Shoes, top, clear over the head mac, Daria backpack, lipstick Ditsy- Topshop, earrings, shorts- H&M, aviator sunglasses- RayBan. 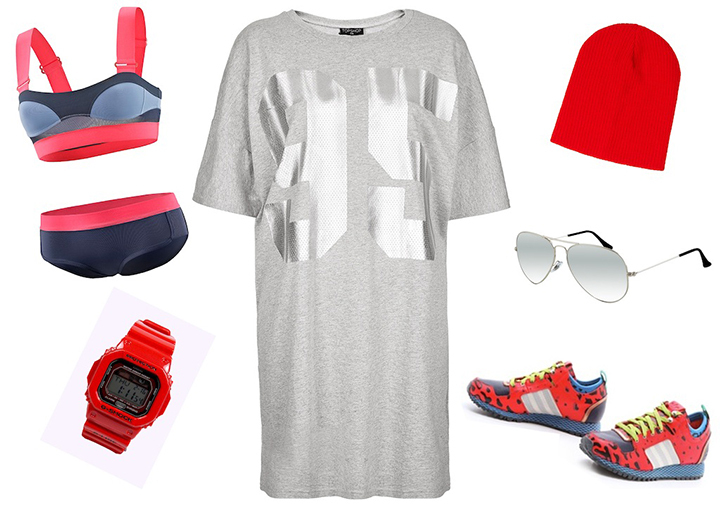 Shorts- Ksubi, shoes- Mango, bag- Topshop, sunglasses- Super Sunglasses, bracelet- Hipanema, top- Shopbop.